This is a guess on my part, but here goes. What’s a Blog? Twitter, you have to be kidding, right? Who has time for that? I don’t use a computer for that stuff. I read the real stuff from printed sources. I don’t get that “Techy” stuff. I need things to help with my teaching, not technology. I spend too much time grading work, I have no time to play on the computer. I read books not screens, I like the feel of books. I don’t use a computer. I have heard these very words or some variation of these answers even before I began talking about Social Media in education. In your quick little survey I would bet that, if the respondents are truthful, probably 4 out of 10 will be able to name some blogs that they have read. Maybe, some might use Twitter. Well, maybe 2 out of 10. Recently, I was asked by a very progressive and highly respected District Administrator to speak to some Higher Ed educators to explain the idea behind teachers developing a Personal Learning Networks as a professional tool for teachers. These Higher Ed people were working with Pre-service teachers who would be working in this administrator’s district. He was looking to provide pre-service teachers with the tools that they would need to fit into the vision for which he had for his district. He sees his district as a progressive environment using the tools of the 21st century for not only authentic learning, but also relevance. This would be a great district for any school of education to have their students placed as teachers. However, as future teachers, they need to be prepared to contribute in that environment. We decided that since I could not fly from New York to Iowa for a brief meeting, Skype would be the next best thing. I prepared for the conference call by putting on a shirt and tie. I looked great in my Skype screen, the epitome of a higher Education professional. They actually commented how professional I looked on the Skype screen in my shirt and tie. Of course my retort was,” Thank you, but I must admit I am not wearing Pants”. I was actually wearing pajama pants. Of course, they failed to appreciate my humor, and I knew I was in trouble. My impression was that they may not have had much Skype experience. When I asked if they understood what a PLN was, my question was answered with silence. I knew that I was in trouble. I was working my way uphill in my pajama bottoms. This drove home the very words I have said on several occasions. These are words with a meaning that I often stray from. We tend to lose perspective, as we engage with educators within our Personal Learning Networks. We tend to think all educators are participating with us in this network. The truth is that we represent only a small portion of all educators. The PLN has often been described as a huge cocktail party. Participants can move from group to group within that party and take what they want or need from a group and then move on to the next group. This is a really clever analogy. The problem is that even though a large number of people are attending the party, the larger percentage of educators never even dressed for it. They are still in their houses sitting around in their pajamas. This does not mean that they are not doing their job. It means that they are not interacting with others at a party. We see the party as very helpful. We move from group to group gleaning useful information, exchanging ideas, and collaborating with other party goers. The question is how do we get all of those others, the vast majority of educators, to the party? These other educators do not live in our neighborhood. How do we connect with them, since they do not communicate as we do. If we did get them to our party would they benefit from it? Would we benefit from it? Do we have time to wait for them? How do we change the culture? My frustration is that Personal Learning Networks are treasure troves of educational sources, great ideas, and collaborative educators, and I have no way of getting this concept to the great majority of those who could most benefit by its discovery. Social Media is what we can use today, to link up those people who need to link up, but social media is not yet socially accepted by the masses. We need to deal with PLN’s in Professional Development workshops. We need to Email links to colleagues who do not use Twitter, Nings, or Wikis. We need to have students develop PLN’s as a source of learning. We need to connect those who need to be connected and then we can all learn as professionals in our pajamas. Great post Tom. I’ve been working on a post that has a rough draft title of “Reaching Out”. The point of the post was to talk about the very things you mention in your last paragraph. We always talk about the “reluctant teacher” or the teacher that has made it very clear they want nothing to do with technology. How do we begin “reaching out” to these teachers? That’s what I want my next post to focus on and you have some really great points about how we need to reach out to them with the communication tools they are currently familiar with: face to face PD workshops and email. At least, I would hope everyone is now familiar with email. I shudder at the thought of there being districts in our country that still do not utilize email. I guess anything is possible though! How do we educate the masses? That’s a great question and one I wish there was an easy answer for too. I’ve got a couple of my co-workers on board with PLNs using Twitter so I would consider that a success. But, they’re my co-workers and it wasn’t a hard sell. You hit the nail on the head with this one as well. I feel that PLNs are still in their infancy. This trend will grow and grow in the next few years and teachers of preservice teachers like yourself will spread it even more. I also feel that once teachers get involved they will immediately see how helpful having a good PLN can be to share ideas, collaborate and get great ways to help in their teaching. The key is also developing a good PLN. 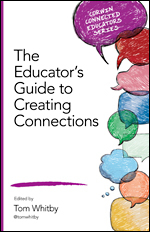 The Educator’s PLN was a great idea. When the bell rings come out teaching! P.S. I am fully dressed and I bet your island view does not look anything like the above picture. Come South young man! Excellent Post!! I find that your energy and enthusiasm in the video is worth sharing. I hope to get this to my colleagues!!! I liked the pajama joke. It’s a shame that some people don’t get it but I’m sure that many eventually will. I feel that in my ten months or so on twitter I’ve learned more than on any course I’ve taken. The wealth of knowledge and sharing is amazing. I’m ‘converting’ my colleagues one by one and even though the progress in rather slow at the moment, I’m determined not to give up. I’ll be sharing this on twitter and via email. Thanks for the idea. Using Twitter and other tool helps understand and improve teaching techniques every. 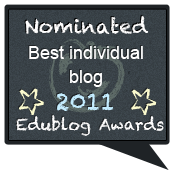 The article makes us think: why would an educator avoid PLN? Of course it’s not something easy, because we have so many things to learn, but we have to star somewhere. I’m a newbie, bur I’m here, and I will be here for a loooong time! Excellent post! I completely agree that the use and value of PLNs need to be shared with as many teachers as possible. One area that I feel is missing this boat is educators of pre-service teachers and administrators, essentially college professors. While I am now following so great college professors, I have not seen use of Twitter in any of my master’s classes and now none of my doctorate classes. Sadly I have been studying administration and instructional technology through both of these programs. I hope that universities will begin to realize the HUGE role they play in the acceptance and utilization of technology in education for both teachers and administrators. Good post. Along the same lines, I’ve been trying to think of a topic that meets with more instant and utter rejection from my disconnected colleagues than Twitter, but I can’t. It’s as if everyone in the world tried Twitter for five minutes back when it was new, rejected it, and now only connect it to Ashton Kutcher or Paris Hilton, or whomever. Many of the most intelligent people I’ve ever worked with have snorted away the suggestion that Twitter is even a topic open to discussion. The other thing I’ve learned is that it’s very difficult to do comedy on Skype, especially if there’s a delay. Having also once made a reference to my pants during a remote training, I can tell you that I won’t be doing that again any time soon. Great Post! Though the UNI folks did not think your comment was funny #vanmeter folks did. We appreciate you helping us out. It is a process, and we need to keep pushing educators to think beyond their own walls, borders, boundaries, etc. when developing their own learning networks. Loved the post. Although not an educator myself, in my first few days with Twitter I had realized the power of Twitter in education and I wondered to myself why more teachers, faculty, admin, etc. aren’t taking advantage of the resources offered! Or the collaboration. It is inspiring and amazing to see what some school districts have been doing and also is so exciting watching it grow and evolve, and being involved in the process. I appreciate everything you and the rest of the PLN are doing, keep it up! I just did a Web 2.0 presentation to a group of higher ed (medical) professors. I could tell from how they reacted, their questions & comments that they didn’t think Web 2.0 had any place in their teaching. They had been teaching the same way (memorize & test) for so long and it has worked so far, so why change? I wonder if higher ed is the place where this awareness is lacking the most since professors are not held to AYP standards and if a students fails, it’s their fault for not working hard enough, not because the professor failed to differentiate or present info in a different way. These, after all, are the real value of Web 2.0 tools. I know that feeling when you just WANT someone to GET IT because it’s something so important to you. I also know that I realized that, as you said, what we have is not widespread or widely known! Keep truckin’ :o) P.S. next time wear one of those tuxedo tee shirts. See if that gets a laugh. I absolutely agree that many of us in our online communities are ‘preaching to the choir’…. this post had me nodding my head but I’m not the one who needs to read it. 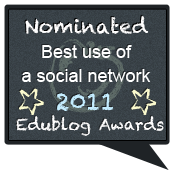 Having said that, I am concerned that the PLN is becoming synonymous with online activity. I have colleagues who wouldn’t dream of tweeting or blogging, but who present at and and attend conferences, who engage in collaboration and discussion within the workplace, who read books and articles… and that is fine. The internet is a part of my PLN, a big part, but not all of it. It’s unhealthy to dismiss technology out of hand, but I would be equally concerned with someone who was only interested in tweeting and neglected face-to-face professional development. I have run into the same problems. I keep emailing links to colleagues and give out my Twitter name. Very few people I know use Twitter. I think what really works is asking people who teach teachers in university settings to make it an assignment to sign up on Twitter and develop a PLN. Now the problem is to get those university people to buy into Twitter. I’m sceptical about forced participation Judie. I was made to keep a reflective journal during my masters course, and I hated it. It took me years to find my own pathway, and I’m still on it…. pushing teachers into developmental situations which they are either unready for or unsuited to may be counter productive. 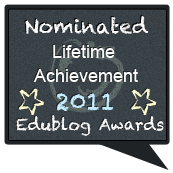 I’ve been monitoring engagement in self-study and personally-managed PD for a good number of years. While I see an incredible potential for Twitter-like technologies in supporting individuals as they connect with others of like-interest and enthusiasm, I’m also beginning to see the same artifacts appearing in Twitter-focused PD initiatives, namely it’s someone else’s agenda and it’s not everone’s cup of tea. I don’t have any quick answers, except to observe that those who may have taken-to and stick-with the Twitter experience are in the same minority that likely ‘get’ the need for life-long, learner-centred professional growth in education. 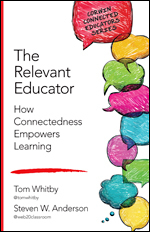 Tom, this is an outstanding post that tackles head-on the reality that a small number of educators have well-developed PLNs and are aggressively embracing the teaching of 21st century skills, while most are just trying to get tests graded by the end of the week – by hand. I’m making a presentation next week, to a large group of educators who I suspect for the most part fall into the latter category, about teaching Internet research skills and embracing Web 2.0 technology. Your insight will help guide me through it. Excellent insight as always! We have so much to learn from you! Your post has encouraged me to try harder to get teachers in my district growing a PLN like ours to continuously learn from one another! This is a great read. I was brought into Twitter by my husband, who used it to create a sporting community. I do not personally know one other teacher who uses Twitter. However, I have been doing as you suggested, printing off, emailing, sharing, talking, and slowly, interest is rising in this idea of an online PLN (or in our system PLC – Professional Learning Community). Keep up the great work! I will keep learning and sharing! And hopefully if we all do that, we will slowly start converting the congregation to the choir! Most educators I talk with have never heard of a personal learning network. They continually ask me where I find all the information I pass on. I try and explain about blogs, twitter, and other resources and always get the standard lack of time response. The thing they don’t understand is that by using these resources, we save time and make more available to focus on what is really important. I’m actually commenting from my bed in my underwear, but that’s probably TMI. We have a small counter insurgency at my school trying to morph our environment into a more student-centered approach. One of the things we have discovered is that you almost have to beat others over the head with new ideas. They won’t follow email links (I check the stats). They won’t even read the printouts when we put them in their boxes. It has come to us begging the principal to “force” them to discuss in our PLC’s or vertical meetings. But, it is a reality of trying to meet them where they are. Change is sometimes slow. But it’s a coming. Thanks for the insightful reminder that we are not truly representative of our fellow educators. 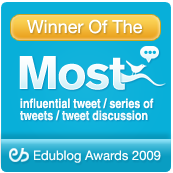 At my school of over 35 teachers, I am the only one using Twitter and a PLN. I tell my peers often where I have found valuable resources, extraordinary support and inspiration and have offered to “show them the ropes.” The response: a glazed over look in their eyes, a semi-smile with a shrug and a mumble that maybe “someday when there is more time” they will get to it. When I was asked to share my website and other web tools at a staff meeting, I heard mumblings and snide remarks about me trying to be “teacher of the year.” I plodded on and at least inspired a few others to develop their own websites. What you do with your preservice teachers is great. You show them the value of the PLN and walk them through the process of getting involved. I am doing that with my intern this year and hope she sees the value. I will be on a mission now to involve more of my peers. Thanks again for the inspiration. Thank you for your thoughts on this issue. Over the past few months, I’ve done a lot to try to promote the idea of PLNs in my district including workshops and other forms of PD. The progression I typically see is that people are immediately skeptical of the tech. Then they see some of the “magic,” how it can be useful, and do the usual “ooo’s” and “aaah’s.” Then they end up not using it long-term because of “lack of time” and point out that it works for me but not for them. I know I’m not the perfect PD developer and I am continually trying to improve my methods and content, but I can count on less than one hand the colleagues I know personally who use the web for collaboration on a regular basis. I’ve been thinking about this a great deal and I have two thoughts I’d like to share (and please feel free to give feedback!). 1) Change is not easy. This is a major shift for many people. Even though I work in a 1:1 school where we’ve had tech PD for several years, tech far from integrated across the board. We are moving in positive directions and some great things are happening, but it is taking time to make that philosophical shift. I think the same could be true of “teachers as learners” and their use of the web. 2) I think it takes time to adopt a new way of learning, and (as much as we want it to be) this may not be the way for everyone. I’ve really been pondering the connection of tech and learning styles. Of the few colleagues I know who really use the web for collaboration, their learning styles and philosophies closely mirror my own. Maybe that means they’re the only people I’m good at convincing, but it still makes me wonder about the learning style connections. Thank you for the forum to express my thoughts. This post resonated with me. I first heard of PLN last summer where Lisa Thumann was the keynote speaker and introduced us to twitter and her enormous PLN. I was inspired and felt overwhelmed. I signed up for twitter started following tons of people, and have yet to really send out my own tweets. I am one of the early adopters in my district, I get my resources from blogs, tweets,nings, etc..and share them with my peers via email, faculty meeting, district workshops. I consider myself a fearless educator and yet I am still at a lost for developing my PLN, and worst still my principal keeps asking me about it (since I went to the workshop last summer). I say all of this to say I understand the masses being slow to move to this individualized learning. In my Policy Issues in Ed seminar the other night, I asked some of the people around me if they used the internet to connect to other educators. None did. Given that half the class are seeking an advanced degree in education despite not having any teaching experience themselves, it could do all of them a lot of good to connect to in-classroom educators in a PLN. She couldn’t grasp the concept that if she were to follow other like minded seniors, she may actually learn from them and realized she probably had more to say than she thought. 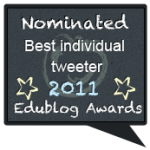 I will be facilitating a 2hr PD oferring in April on using Twitter to enhance your PLN. I know the discussion will be eerily similar to the beginning of this blog. To quote Bull Durham, sometimes I feel like a “Martian talking to a fungo”. I come from an EFL / ESL background – I’m currently teaching at a University in Japan – which I think explains my slightly different take on this. We have to change jobs, change contexts, contracts … even countries, every few years. For English Language Teachers professional development is a vital activity, and one which is largely self-initiated and self-maintained. 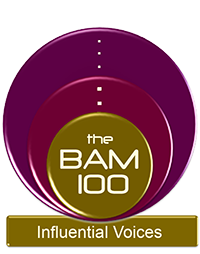 Simply put, we are always looking at the next job so we are pre-disposed to networking and development. So even though I am the only teacher in my workplace blogging and tweeting, I don’t feel a need to push others towards it. They are all doing something – writing and publishing textbooks, PhD study, action research, conferences, journals…. my online PLN is part of the way I learn, but it’s not the only way, and if you don’t participate it doesn’t mean you aren’t learning. For those of you in mainstream K-12 education, I guess it is possible to sit back and rest once you get a foot in. And there are institutional programmes and systems in place to manage ‘professional development’. So is the frustration I sense based on the fact that some of your colleagues are doing nothing at all to improve themselves? If so, I get it. Is this the correct interpretation? I think you have hit the nail on the head. Although there are teachers pursuing other forms of professional development, many who have permanent contracts, often sit back and do nothing to develop themselves professionally. In my system, in addition to the planned PD we are all expected to attend, we are given $1500 every 3 years to pay for conferences and workshops we would like to attend, and there is some funding to cover the some of the costs of tuition if we choose to pursue a certificate (ie. special education) a second Bachelor degree or a Master’s degree. I personally have always used up my money faster than the time comes. I get quite frustrated sometimes when I talk to teachers who have never (in their whole career) accessed their PD funds, and often don’t show up for planned PD when there is no attendance checking. I understand that many of my colleagues have very busy lives outside of school. They have children, families, coach, drive, single parent, and many other things that don’t always allow them to go to conferences or take university classes. I guess that is another benefit I see with online PLNs. Blogs, Twitter updates, and other online resources can be accessed on your own time, after the kids have gone to bed or before they wake up, 5 minutes at a time… Oh well, things will change! I have faith! Great post Tom! As someone very new to blogging and the use of PLN’s and Twitter, I have to say that maybe more teachers would become aware of these great resources if they were first introduced to them at a formal Professional Development Day. Individuals who are naturally drawn to technology will find PLN’s a lot faster than those who are not naturally drawn. I consider myself to be in the latter group and I am only now becoming aware of all that is out there in the technological world. I don’t think it’s because educators don’t want to know about the benefits of PLN’s, blogs, wikis, ning, etc. It’s just that they haven’t been made aware of how to use them and the benefits that they can gleen from them. I still need a lot of help in this area. I still need guidance. It can be very intimidating to jump in as a beginner. 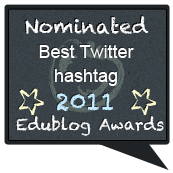 I just did my first #educhat this past Tuesday and forgot to put the hashtag at the end of my comments. Luckily I had the kind support of a friend/colleague who retweeted my comments for me and gave me a DM to remind me to remember my hashtag. Give it time. This is still very new to many educators. I think that we are going to need help from administrators to get it started. And some administrators are going to need the help of those who are tech-savvy. 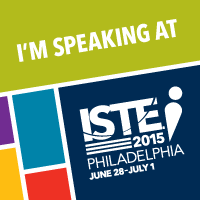 I really enjoyed reading your post about integrating more educators into the technology world! I am a pre-service teacher myself and have only recently been bit by the PLN bug, and I am so thankful I have. Thanks to our great Technology teacher we have with our education program TNschatz, she has a whole group of our pre-service teachers on Twitter and Blogging for new ideas in technology and Teaching! For myself, it was a huge relief once I started using Twitter because of all the great resources that are popping up everyday on the network! Being able to follow some veteran teachers and see what technology works with their classes is so helpful for pre-service teachers! I have already found so many great tools to utilize in my future classroom, which has definitely eased my anxiety for my internship! Another strong post. I was just reading Keenan’s post (http://www.mrkeenan.com/?p=363) about The importance of “Good Teaching” to “Good Technology Use.” One key point moving forward is how other teachers teacher other teachers (tongue twister). Technology provides such a comparative advantage, the early adopters (you and the other teachers commenting on this blog) are almost living in another world. Thanks for your post. Perhaps the best yet! I’ve been having this discussion with my dept. chair. She (and a lot of my dept) is on Facebook, but cannot see the value of connecting with educators she doesn’t know or doesn’t see the time to read through all the posts. As much as I want an atomic explosion to really shock the education world into understanding the importance of PLNs and social media, I know that I am limited in how much I can directly influence. Disappointing though it may be, baby steps are a necessary evil. I’m fortunate to be able to have great influence on my own school community, a mid-level influence on other schools I communicate with and a small influence on schools that really need influence. My sister and her husband work for Omaha Public Schools, the same district taken to task for NOT using Twitter and FB to communicate with their community. During a recent visit, the events surrounding the news article were brought up and I casually mentioned that I had heard of it too – from a principal in New York (thanks @NMHS_Principal). The look of surprise and shock on their faces was priceless. Sure, we went round and round on the excuses, but in the end, they both spoke the language we love – “We need to use the tools that students use.” Baby steps, baby steps….. I am in my pj’s finally, here in Cali @8:45pm. Your post was right on, but I think you shared the essence of it with so much more vigor in the video clip. Loved seeing your excitement and energy! So thrilled to have found you through Shelly way back in January. Had been on Twitter since 2008 but had not been using it. Didn’t see the need…until I jumped in because of my passion for mentoring teachers in late Dec. 2009. So grateful to you and the #Edchat Team for all you’re doing to build and nurture…dare I say it…the PLN Tribe! I had a session with only a small number of teachers from my school weeks ago and yes it was a challenge to explain about all this tech tools to mostly non-tech savvy teachers. Few days after that, I only had a few who signed up to twitter and I havent heard from them since. I thought I managed to get few teachers to try Twitter and I guess I need another session. This time I would try on a bigger scale probably going nationwide and I think setting up a session is not that hard since my country is small. I would first target my fellow Computer teachers since they would less likely be intimidated by tech tools and have good chances of understanding the benefits of twitter. My plan for now, I will prepare whatever materials which could be enough to convince them. Hope when my session is up, I will let everyone know and help me give shout outs to them. I think you hit the nail on the head when you said that you should target computer teachers. Who do (or perhaps should) teachers go to when they need a computer-related issue such as PLN’s or Twitter resolved or explained further? I would love to go to my computer teacher, but she isn’t involved at all. Why are computer teachers teaching computers if they aren’t disseminating information on topics such as these? It’s very frustrating. I am a classroom teacher who is not very tech-savvy, trying so hard to teach herself all about the in’s and out’s of social networks, wikkis, creating a blog for myself, creating a website for myself, etc. I would love to go to my computer teacher and have her help me! Your blog post reminds me of all of the conversations that I have had with my principal and other educational leaders and teachers. I also get the same push back. I am working on a two hour professional development course for my district to teach and establish PLN’s. I just think that most teachers won’t develop this on their own, but if they had someone holding their hand a bit, that they might start down the road to global collaboration. I personally learn so much from my PLN and find valuable tools and tips every day. Is it wrong for me to want the same opportunities for my colleagues? Most teachers are so locked into what they are doing, broadening their horizons will add new perspectives to their teaching that their students will benefit from. I will never forget the librarian I was talking to in a session about PLNs. She was so against Twitter – the whole ‘I don’t care if they are drinking coffee’. I tried to explain how I use it, but she was not willing to hear it. Couldn’t change her mind at all. That is what is so sad, that even if it’s not for them, that they can’t see that there may be some value in it. We could make it our mission to try to get another teacher to take part each week-introduce them and ensure they know a few good tweeters to follow to get them started. It seems to me the problem is two fold. First, there are almost too many PLNS now…everyone is starting their own, and the members and messages and information get spread out too much. I am a member of four NING groups about online teaching. It is too much. These groups should be combined. It makes no sense.